I recently shared a photo on Instagram and I received a great deal of positive feedback. So, I'm here to share the exact steps that I took to achieve the look seen here on the photos in this blog post. I pre-pooed with Righteous Roots Hair RX & Rawkyn clay mask. When I pre-poo, I mainly focus on my ends because that is the "oldest" hair and it is the hair that requires the most care. I then put on my Hot Head (as per instructions) and I allowed Hair RX and Rawkyn to sit in my hair for about an hour. Once time was up, I washed my hair with Ion Clarifying Shampoo. Yes, this shampoo contains sulfates, specifically the controversial ingredient Sodium Laureth Sulfate. I've spent far too much time reading about this ingredient. My brain is throbbing from all the info. I will briefly share some of my thoughts. First and foremost, anyone who doesn't thoroughly conduct his/her own research will be mortified at the info that is out there and will most likely discard every hair and household product in their home, because that was my initial feeling and thought after reading some of the stuff that is out there. As with any chemical, there are always risks. I cannot sit here and tell you that this ingredient is safe or not. I also cannot tell you that 100% natural products are the only way to go because believe it or not, not all products that claim to be 100% natural are 100% natural. There is a great deal of negative press about Sodium Laureth Sulfate including claims that it is linked to cancer. Most of what I read online were accusations but I really didn't see much proof. Anyone can defame a product or ingredient but where is the proof? I think that people are concerned with the long-term effects of using certain ingredients on a regular basis and that is totally understandable. I get that. However, understand these two things: 1) not everything on the internet is true & 2) big corporations will say anything to get people to believe even lies for their own gain. Example: If we say XYZ is bad, then we can tell people that ABC is good. Sometimes XYZ is in fact bad but sometimes it is not and it is sheer manipulation to get people to buy something else. My understanding is that sulfates remove dirt and oil from your hair & body (they cleanse and lather). Some say, however, that sulfates tend to strip too much of the natural oils in the hair and skin. Some also say that sulfates tend to cause hair color to fade (although some disagree with that theory). For me, I need to occasionally use shampoos that contain sulfates. If I don't remove the excess build-up, my hair is easily weighed down. Build up is an issue for me whether I stick to all natural products or not. I absolutely cannot co-wash for weeks and then shampoo once a month. My hair would be a total mess if I did that. That may work for many others, but not for me. I am not by any means encouraging people to use products that contain sulfates or encouraging people to wash their hair as often as I do. I also know that there are other alternatives but this is what I prefer. I am merely sharing what works for me upon the request of many. I use this particular Ion Clarifying Shampoo only once in a while. If I feel that I need to shampoo, but don't want to use this product, I use another one that is "all natural" from a different brand. If you only use sulfate-free hair products, then you should consider checking your household products, as well. Take a look at everything you have in your home and start cleaning up shop if you're that adamant about it, but be very careful with "green-washing". Click here to read about green-washing and how some companies get away with it. Okay that previous bullet was SUPER long but I had to share that. After I shampooed, I used Shea Moisture Low Porosity Conditioner and rinsed it out of my hair. I then applied Go-2 Hydrating Milk by Up North Naturals received from Curls And Confidence. Now it was time to style my hair. I applied Bounce Curl light creme gel throughout my hair, combed it with a wet brush, and scrunched my hair using a micro fiber towel by Bounce Curl. The towel removes excess water and also helps with curl formation. I allowed my hair to air dry about 90% before I diffused using The Curly Co Diffuser on low heat for a few minutes. After diffusing, my hair was still a bit damp in the roots. I simply allowed it to air-dry the rest of the way. Once my hair was fully dry, I gently shook it. Now, on to my make-up. I received compliments on my make-up as well. I didn't use anything fancy except drug store makeup, but don't sleep on drugstore makeup. You can do some serious slayage with drug store makeup if you use it right. I think that the icing on the cake were the fake eyelashes. I do not have big eyes. The lashes definitely added some life to my face. I also applied a product on my face that is meant for the hair *gasp*. I know, I know. I'm such a rebel. I received the Up North Natural's Freshen Up Hair Mist from Curls and Confidence. It's an herbal infusion consisting of rose water and aloe. It is meant to freshen up the hair. I know that rose water and aloe each do amazing things to the skin. So, I figured I'd give it a try. I not only used it as a toner before applying my makeup, but I also used it to moisten my eye shadow brushes so that eye shadow application would go on smoother and brighter. I honestly do not know if this product should be used on the face. Therefore, I won't necessarily encourage anyone to do the same at this time. I am not sure if it is non-comedogenic. I was very careful and kept it away from my eyes. I wouldn't want anyone to break out or have any other type of reaction. So, please be careful. Always follow the instructions. I, personally, felt creative and tried it and I loved the results. That is all I have for now. I am not a chemist nor a hair expert. Therefore, please always conduct your own research before deciding on a product. I am only sharing this hair & makeup routine because I was asked to do so. Everyone's hair journey is different. 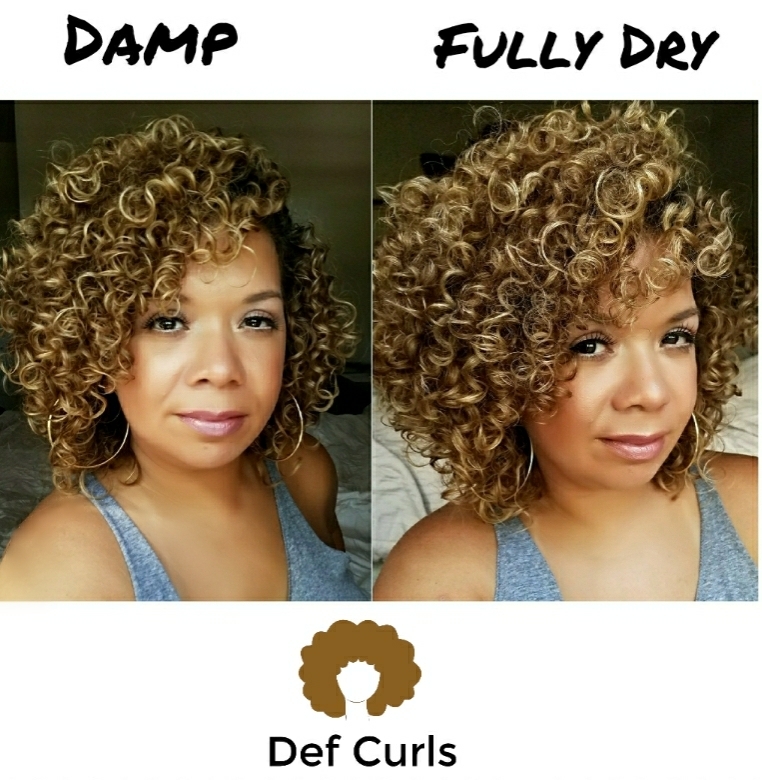 Regardless of how many hair porosity tests you take, or how many natural products you use, or how many DIY treatments you create, the reality is that you have to do what works for you. I cannot copy or incorporate another person's hair routine into my own. I simply do what works for me. And no need to set me straight about sulfates or anything else. I plan to continue doing my own research and I will make adjustments in the future if needed.